In this sixth part of an in-depth review of 'From Russia With Love', we draw conclusions on the film's various aspects. 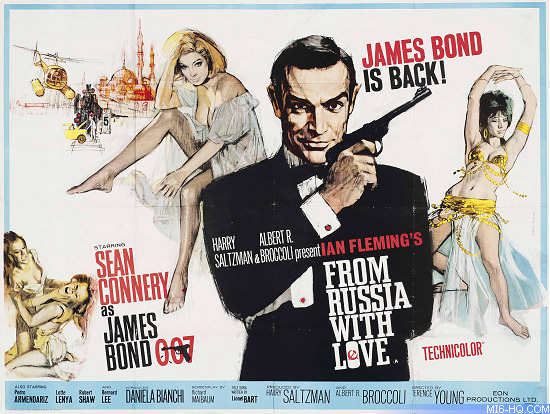 Reviewers note: I don't do quantitative ratings on a 1 to 5 or 1 to 10 scale as a principle of mine, but From Russia with Love has always been a top 10 Bond film for me, and always will be. It is also always listed second for me in a "Best of Bond" film ranking, just behind 'Casino Royale'. I am of the opinion that this is the sole perfect Bond film, or at the very least, as perfect as a Bond film can be when you analyze its many parts and cast a final judgment on its merits. 'From Russia With Love' comes together as one of the best sequels ever realized in cinema that successfully takes everything that worked in the first adventure and amps it up while axing or improving what didn't. If 'Dr. 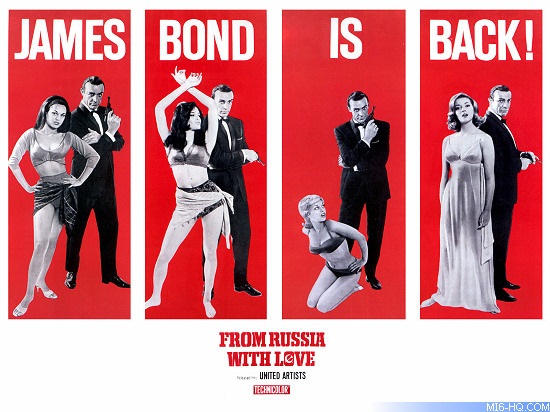 No' is a detective film, From Russia With Love is the ultimate spy thriller picture. There is enough covert eavesdropping, message swapping, shadowy assassinations and double-faced intrigue to drown in as the Turks, Bulgars and Russians play each other, with SPECTRE stampeding through unnoticed in the hysteria. 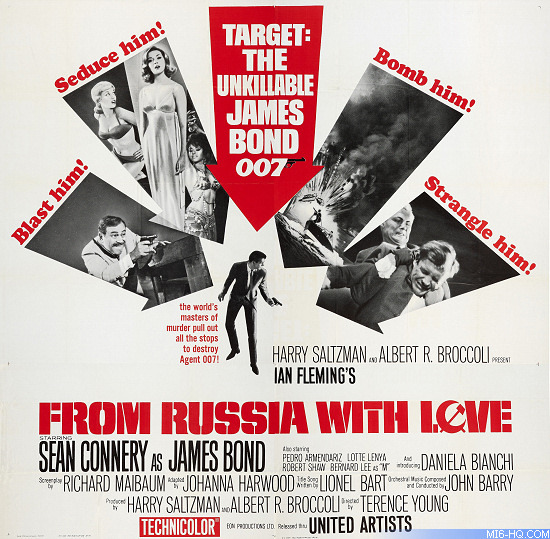 The movie has all the gold of Dr. No viewed through a moodier, more international and ambitious prism, and while the first Bond adventure presented us with a hint of SPECTRE's power and influence, From Russia With Love delivers on that threat in spades and shows Bond just what kind of enemy he's up against. Over time lies pile on lies, motives get clouded and the atmosphere of Istanbul becomes overwhelmingly pervading. In the soft blue gloom of the moonlit night you don't know what could be coming Bond's way next, but you’re certain that somewhere out there Grant is watching and waiting to strike. Like the fight that makes it famous, From Russia With Love is rough-n-tumble, no-holds-barred and laced with danger, containing a narrative and climax like a rabid heartbeat that never lets up. To watch it is one of the finest pleasures a Bond fan can enjoy, and to review it was, "A real labor of love," to quote the late Colonel Klebb.